Modern building designs have evolved to include a wide range of tasks that all work in tandem to create a beautiful, durable structure that aims to be as affordable as it is strong. Improved technology has helped to make products such as steel trusses both versatile and widely available. 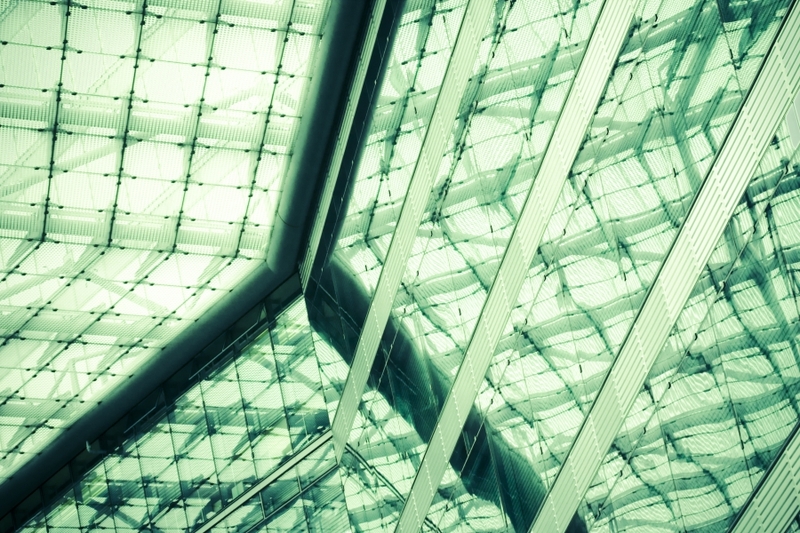 This structural design element can provide exceptional support for your building, including your drywall and your roof system. It pays to enclose your building with quality materials and services, and that’s where AZ Drywall Finishing can prove to be a valuable partner. Since 1997, our drywall contractors in Chicago have worked hard to create long-lasting results that perfectly match each client’s style demands and budgetary constraints. Not only do we specialize in drywall installation and finishing, but our team can provide the framing solutions needed to get your operations back in action in no time. Metal stud framing can provide a plethora of positives for your project, but keep in mind that the commercial drywall company performing the installation will play a major role in the final result. 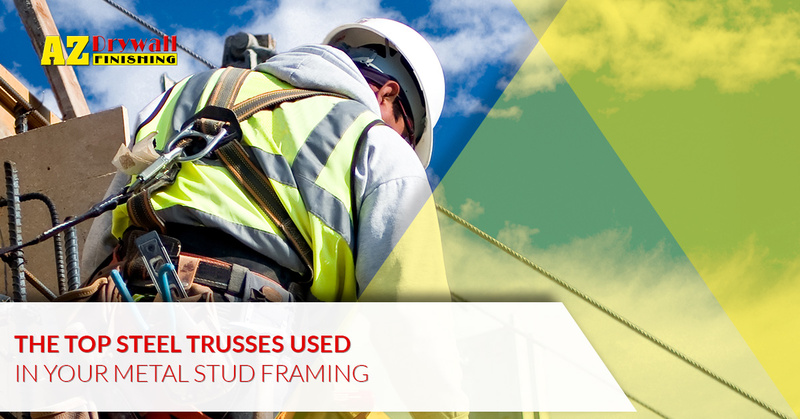 Today, we’ll highlight a few commonly used trusses and how they can benefit your steel structure. If you’re looking for a drywall installation quote for your project, be sure to contact us today! The Pratt truss follows an “N” design that follows relatively straightforward design specifications to provide ideal support for a wide range of buildings. The Pratt design is one of the most popular designs in use today, relying on interconnected Ns to create a uniform support system. You can easily spot this style in buildings with spans ranging between 65 and 300 feet due to their construction — several vertical chords are placed to resist compression from static weights while a diagonal bar is utilized to resist tension across the entire plane. The focus on this straightforward truss is to provide load-resistance benefits to your structure. Another design intended for quality support in longer spans, the Warren design is ideal for a range of applications that feature overhead platforms which support many different components. From railroads and bridges, to loading docks and more, these trusses are shaped more like a W. The result is a span that equally resists compression and tension. Structures that expect movement and tension can benefit from Warren trusses. The Fink design is ideal for shorter applications requiring roof support. Featuring shorter, simpler spans, Fink trusses are more economical compared to other design choices. Homes, storage buildings, and even bridges can benefit from strategically deployed Fink trusses. This basic webbed design may be ideal for your business, so be sure to reach out to framing experts such as AZ Drywall Finishing for quality assistance! As the name reveals, this truss is identified by its triangular shape. In roofing applications, North Light trusses are beneficial because of their angles — a longer side will be introduced to face the sun, reducing glare while optimizing natural lighting elements. This truss provides quality ventilation for medium spans, working to provide the versatility needed for many jobs. You may be able to benefit from the eco-friendly advantages of lowering your heating costs. This truss is a close variation of the North Light with its vertical face running perpendicular to the plane, except this version relies on additional elements for buildings with multiple bays. You can expect the same advantages of increased daylight with decreased sun glare, over a larger area. Hospitals, auditoriums, apartments, workshops, and other multi-bay structures may all be suited for Saw-Tooth materials. One commonly used design is the scissors truss, featuring two top chords that meet at the highest point with two lower chords crossing one another and connecting at the full length. From a head-on view, this design will resemble a pair of opened scissors. Varying buildings with pitched roofs can rely on this truss for reliable support. These trusses feature a connected system of chords that create a curved top and straight bottom element with patterned connections within. Swimming pools, gyms, basketball courts, and other airy buildings can all benefit from beauty and space providing by this dynamic pitch. Modern building design has allowed for a wide range of styles to be utilized for unique framing and roofing styles. Beyond the designs mentioned above, you can invest in Howe, hip, flat, Gambrel, king post, queen post, stub, and more. Every franchise is unique, relying on unique design styles to create structural sound results that are meant to last. Regardless of the design of your building, it pays to work with an experienced team for all of your framing and drywall installation needs. AZ Drywall Finishing is here to serve as your trusted source for quality outcomes across many industries. For 20 years, our drywall contractors in Chicago have worked to deliver full-service results for each of our customers. Contact us today to learn more, and be sure to request your project quote!